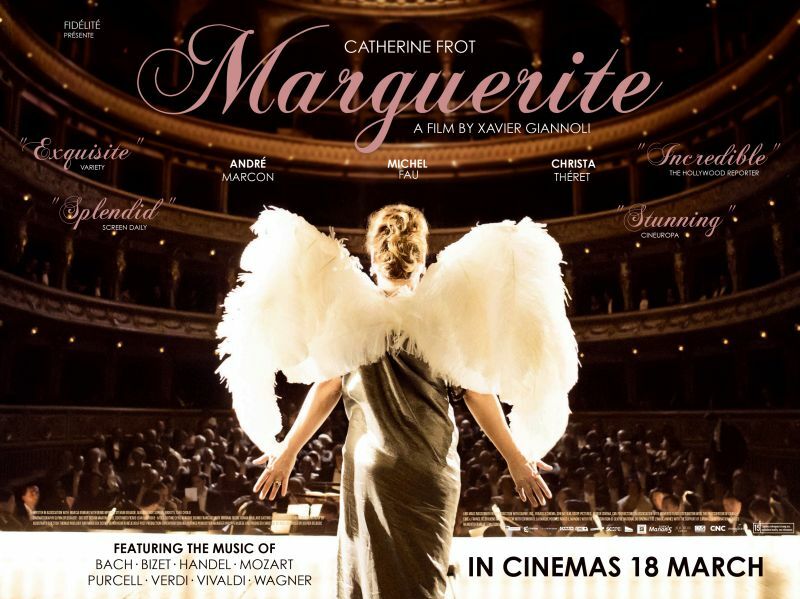 FranceInLondon.com interviewed French director Xavier Giannoli on the occasion of the UK release of Marguerite. The director of Superstar, The Singer (Quand j’étais chanteur) and Eager Bodies (Les Corps Impatients) seems to have a passion for illusions, a theme that he explores in most of his films. His new film Marguerite has won 4 César awards this year for Best Actress (Catherine Frot), Best Sound, Best Costumes and Best Scenery. The film combines a powerful scenario with gorgeous visuals and costumes, both sublime and painful music and talented actors. The story takes place in Paris in the 1920s. 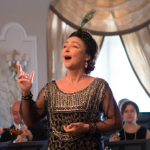 Marguerite Dumont (Catherine Frot) is a wealthy woman, passionate about music and opera, who sings at least four hours a day but is unaware that she sings completely off-key. Her husband, her friends, and all the curious people she attracts sustain this illusion, which leads her to organise a real concert, at the opera. The plot is directly inspired by the life of Florence Foster Jenkins, an American soprano singer who lived in New York in the 1930s-40s. “The first time I heard Florence Foster Jenkins was on the radio, 15 years ago”, remembers Xavier Giannoli. “She was singing Mozart, and it sounded like someone was strangling Mozart’s parrot. It was both hilarious and extremely intriguing”. Captivated by the incredible destiny of this unusual artist who ended up performing at Carnegie Hall, Xavier carried out a long journalistic investigation. “When I start working on a scenario, I collect notebooks, pictures and sounds”, he explains. “I need to root my imaginative work into a very concrete and documented reality”. The director chose not to make a biopic, because he does not see the point of “colouring someone’s life”. He thus decided to transpose the story to the French period of “les Années Folles”, from which the avant-garde mouvement grew. Giannoli’s depiction of the Parisian 1920s is both accurate and authentic. In order to increase the images’ realism, the film’s director of photography Glynn Speeckaert used lenses dating from the 1950s, which give off the light very intensely and add a touch of poetry to the film. 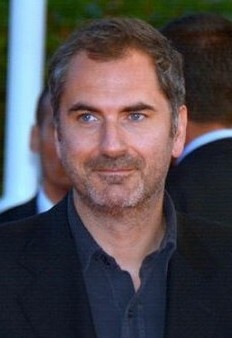 Xavier Giannoli also chose to add some characters to the plot. The butler, for instance, is directly inspired by Gloria Swanson’s private driver in Sunset Boulevard, by Billy Wilder. In Marguerite, the audience progressively understands the importance of the role played by this character, who chooses the information that will reach his mistress and sustains her illusions by treating her like a real artist. “I loved the idea of this both funny and maddening relationship between the bourgeois lady and the black servant, who share a taste for spectacle and some sort of mutual desire”, explains the director. Catherine Frot won the César for Best Actress this year for her role in Marguerite. When asked why he chose her to play Marguerite Dumont, Xavier Giannoli answers: “When putting together the cast of the film, I came upon a picture of the actress on the Internet, on which there was a felt of shimmering, a strangeness. 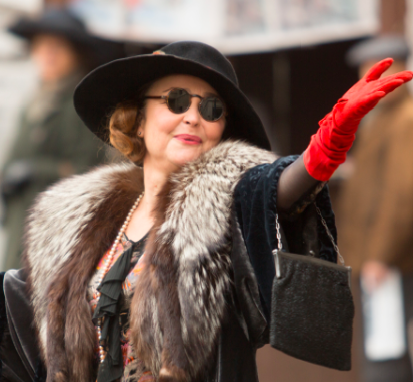 I realised that there was in Catherine Frot something that might never had been filmed before”. Things fell into place when the director watched the actress in Samuel Beckett’s Oh les beaux jours, “a completely crazy play”. “It was like watching Marguerite come alive”, remembers Xavier Giannoli. Thanks to the commercial and critical success of Marguerite, Xavier Giannoli might be able to fulfil his greatest dream: adapting for film Balzac’s famous novel Lost Illusions. “It’s the story of a young writer who arrives in Paris in the 1820s, falls into the trap of the desire for recognition and is overwhelmed by the wave of the new capitalism”, explains Giannoli. “Another story about illusions”, he smiles. “An African proverb says that the goat grazes where she is tied… I am probably tied to the idea that we all need illusions to live”, analyses the director. Xavier Giannoli is also working on a film, which will be starring 2016 César winner Vincent Lindon as a journalist who investigates a very mysterious news item. The shooting will start in a few months. Marguerite will be released in cinemas from 18 March. You can find out more at margueritefilm.co.uk. Ce film à l'air vraiment bien !